If you are a diabetic you have plenty of concerns. You've got to be consistent with your supplements and medications. You've got to get enough sleep, and be consistent with diet and exercise. You've got to keep your weight down. Nothing new here. But one problem you might have is something that doctors and patients alike are often unaware of. It's a vitamin B12 deficiency. But the cause is not diabetes per se. The cause is the treatment for diabetes. The most common drug for diabetes today is metformin. Metformin is sold under the trade names of Glucophage, Glumetza, Fortemet, and Riomet. It is also sold in combination with other drugs under the names Metaglip, AvandaMet, ActoplusMet, Janumet, and PrandiMet. The most common side effect of metformin is intestinal upset. But there is another side effect that can be easily overlooked. Metformin interferes with the absorption of vitamin B12. So patients who have been taking it for a while might end up deficient in the vitamin. A recent study of diabetic patients on metformin discovered that on average close to one-fifth of them were deficient in B12. They based this on a blood level less than 220 pmol/L. The longer a patient had been on metformin and the higher the dose, the lower the B12 levels were. Now this is why this is particularly important. Fatigue is very common in diabetics. And most of the time, the symptom is just attributed to the diabetes. But fatigue is also a hallmark symptom of B12 deficiency. And so it's possible that many patients out there who feel tired and run down are not that way because of diabetes. In many cases, the problem is B12 deficiency. And remember that metformin causes the deficiency by interfering with the absorption of B12, so simply taking a B12 vitamin might not help. It might not get absorbed. But there is even a worse problem than this. It's something called neuropathy. Neuropathy is a condition that causes a burning, stinging, numbness feeling in the feet. 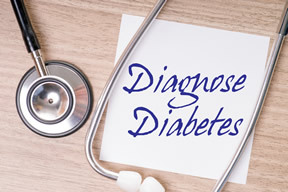 It is a common complication of poorly managed diabetes. But B12 deficiency can cause symptoms that are very much like the symptoms of neuropathy. So it is quite likely that there are more than a few diabetics out there being treated with medications for diabetic neuropathy when in fact the problem is B12 deficiency. So if you are taking metformin for your diabetes, especially if you are taking upward from 1,000 mg per day, make sure you have your B12 level checked every year. And don't forget that there is another class of medications that are commonly used that also can cause B12 deficiency. I'm talking about the drugs used for heartburn or reflux disease. If you are taking metformin and are also taking one of these drugs, your chances of being deficient in B12 are even greater. Haeusler S, Parry-Strong A, Krebs JD. The prevalence of low vitamin B12 status in people with type 2 diabetes receiving metformin therapy in New Zealand--a clinical audit. N Z Med J. 2014 Oct 17;127(1404):8-16.